Interana is the fast and scalable event-based analytics solution to answer critical business questions about how customers behave and products are used. The company allows users to analyze and explore the key business metrics that matter most in a data-driven world – such as growth, retention, conversion, and engagement – in seconds, rather than the hours or days it often takes with existing solutions. Interana also allows customers to discover and investigate these key insights easily through its visual and interactive interface, which makes data analysis a natural extension of everyone’s workflow. Sports media giant Bleacher Report, a division of Turner Broadcasting, relies on Interana to understand the behavior of its users and to inform app development and content optimization decisions. “The kinds of results Bleacher Report has achieved using Interana are consistent with what our other customers have experienced,” said Founder and CTO Bobby Johnson. “Companies like Microsoft, Comcast, Uber, Sonos, Edmunds, Goodyear, and many others are using the platform for all kinds of applications – including customer behavioral analytics, content optimization, and product innovation – and they’re all seeing similar benefits. 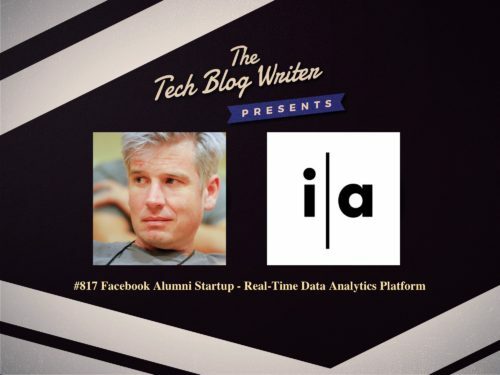 I invited Bobby Johnson onto the podcast to share his back story such as leading the development of analytics tools at Facebook including Scuba, Facebook’s internal data analytics platform to launching Interana and the kind of problems he set out to solve for his clients. Bobby is Co-founder and CTO overseeing the technical aspects of building the world’s fastest and easiest to use system for analyzing event and time-series data capable of handling trillions of records in seconds. Prior to joining Interana he was Director of Engineering at Facebook where he led efforts that helped the company scale from a few million to nearly one billion users. Robert holds a B.S. in Engineering and Applied Science from CalTech.